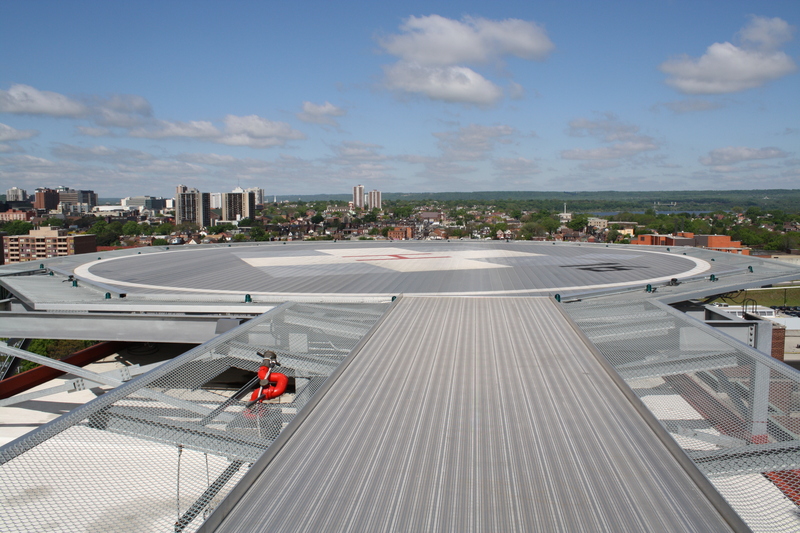 Moving an existing on-grade Heliport to the roof of the eight-storey Hamilton General Hospital significantly reduced critical wait times by allowing patients to be taken from an air ambulance directly down a dedicated elevator to the emergency or surgical floors. 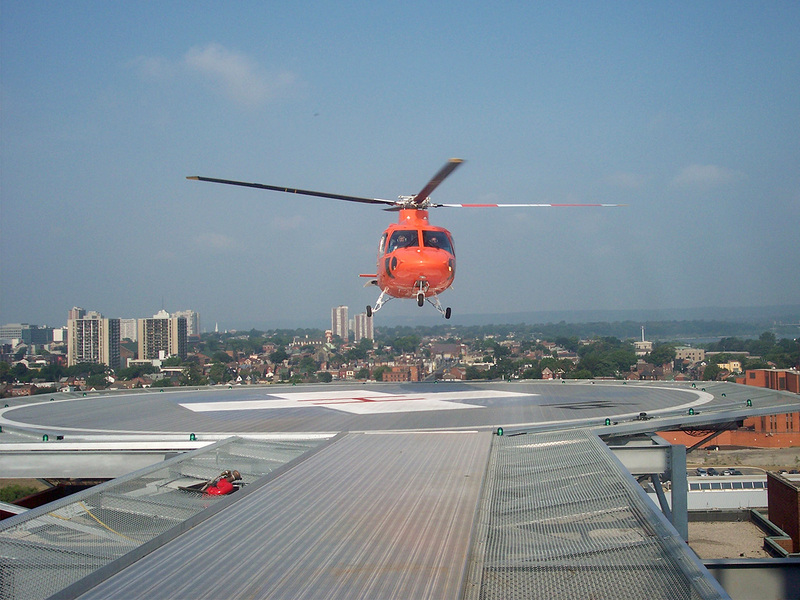 Locating the new state-of-the-art Helicopter Landing Pad required coordination with Nav Canada and Emergency services. 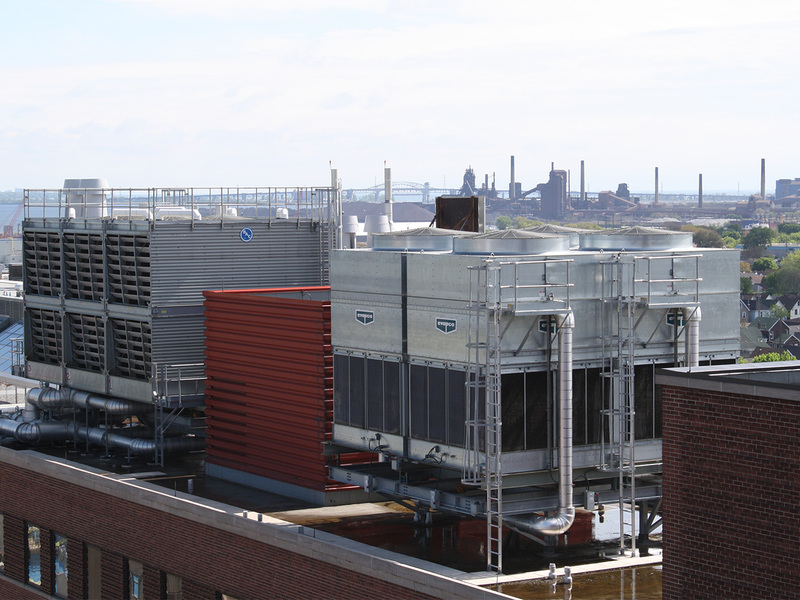 Relocation of the cooling towers ensures plumes do not obscure a pilot’s view. The project extends the main building columns above the penthouse roof in order to support the pre-fabricated 60 SF heliport with an 80 foot octagonal aluminum deck platform and seven-foot wide perimeter safety net. The service elevator was extended up one additional floor and a new receiving lobby between the helideck and the elevator was built. The Heliport sports a lighting system that can be activated by pilots, fire protection, snowmelt systems, and a high-tech buffer pad to cut noise and prevents vibrations throughout the hospital’s steel structure when a helicopter lands.